A few years ago, I was at my local Democratic Party ward captain's house, listening to a congressional hopeful give a speech to rally the troops in preparation for the coming primary election. When question period came, someone asked about his position on Israel, and he said that the Israeli administration had his full support. Such support was not controversial, he continued—indeed, it was not, and shouldn't be, a partisan issue in Washington. Support was solid on both sides of the aisle. There are many measures by which it is still true that American support for Israel is bipartisan. Both the House and the Senate recently passed resolutions, with virtually no dissent from either party, supporting Israel in the current conflict in Gaza, and such support is not merely rhetorical: approval for emergency funding for Israeli military systems has also passed with strong bipartisan support. But the actions of the American political class no longer reflect the reality of public opinion as well as they once did. Public opinion has begun to divide, and the division has followed both generational and party lines. The news is in the numbers. 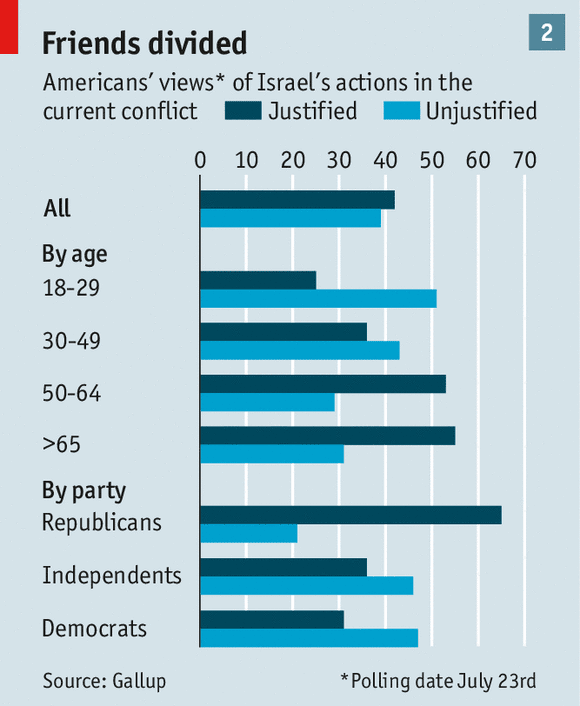 Younger Americans are, rightly or wrongly, critical of the actions of the Israeli administration. And only Republicans strongly support Israel in the Gazan conflict. They do so by a considerable margin, but Democrats and Independents tend to take the opposite view. The American political system will probably not reflect these shifts in opinion immediately, nor strongly. Indeed, the likely Democratic nominee, Hillary Clinton, recently made her commitment to the Israeli administration very clear. But it is significant that she did so on Jon Stewart's Daily Show, where she had to chide the host, whose criticisms of Israel played well with his youngish, heavily liberal audience. 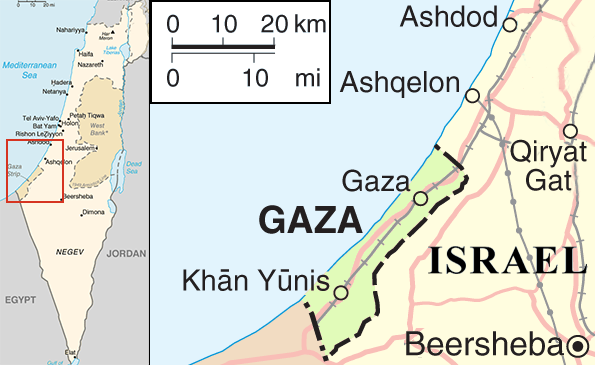 It is plausible that the end of the conflict in Gaza will lead to a restoration of some support for Israel, and even of Netanyahu, outside the Republican party. But it is also quite likely that one result of this war will be a slow shift away from the model of unwavering bipartisan support for Israel. For young people in particular, opinion is less a matter of automatic and overwhelming support for Israel, and this will likely make for a different future for American-Israeli relations. Given how much Israel still depends on American financial, military, and political support, this shift will matter for Israel, probably more than any military victory on the ground in Gaza does. Indeed, it makes military victory pyrrhic. Regardless of how one feels about the events in Gaza, there is a sense in which Netanyahu's administration has already lost this war.